Just over a baker’s dozen. State Rep. 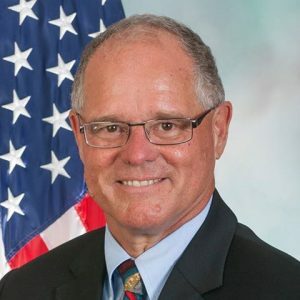 Bud Cook (R-Washington) has “appeared” to have narrowly bested Democratic challenger, Steve Toprani by 15 votes after the Washington County Elections Board ruled on 11 provisional ballots counted for the race in the 49th state House district, according to the Observer-Reporter. On Thursday, eight of the eleven ballots were tabulated to slightly increase the lead for the incumbent Republican. An additional eight ballots that Cook challenged were not counted, but he has until today to appeal the status of some provisional ballots not counted. Cook garnered 5 of the 11 additional provisional ballots, while Toprani gained two votes and one vote was “completely blank.” Three other ballots in this group were not placed in “secrecy envelopes” when they were cast at the polls. Cook’s total vote count is currently 9,942 to Toprani’s 9,927. The Election Board Chairs Larry Maggi, Diana Irey Vaughan and Harlan Shober were unanimous in their decision on Thursday, according to the Observer-Reporter. Cook was first elected to the state House in 2016 after defeating Democrat Alan Benyak by 8 points. The seat was previously held for over 3 decades by longtime Democratic state Rep. Pete Daley, who retired in 2016. Is Charlie 0-2’Neill still unemployed?